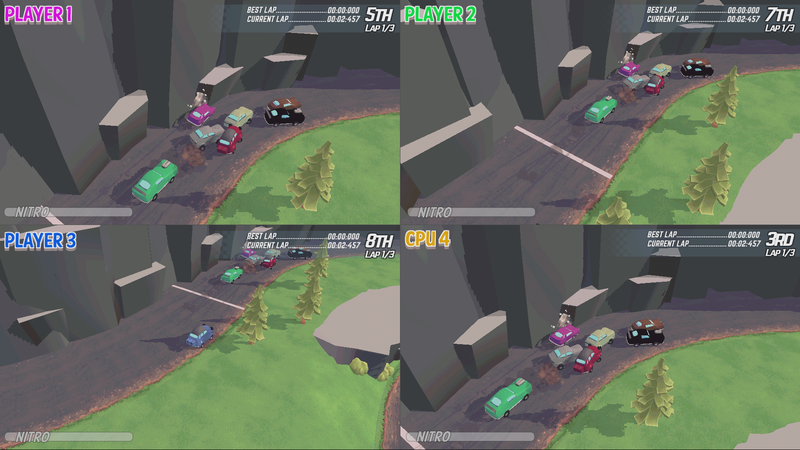 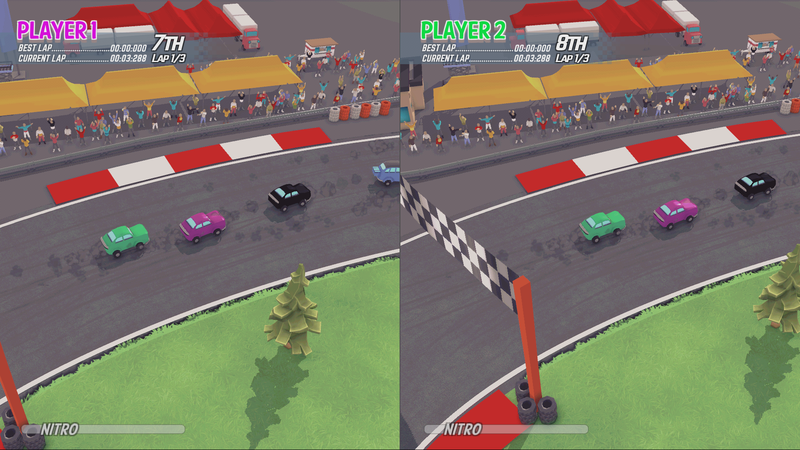 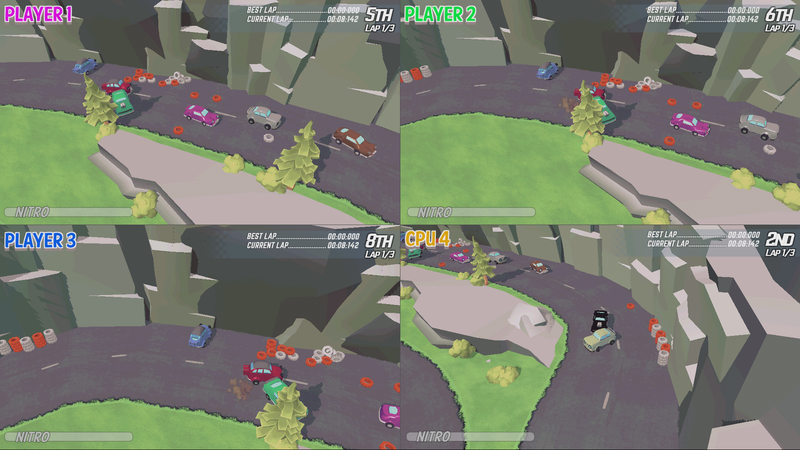 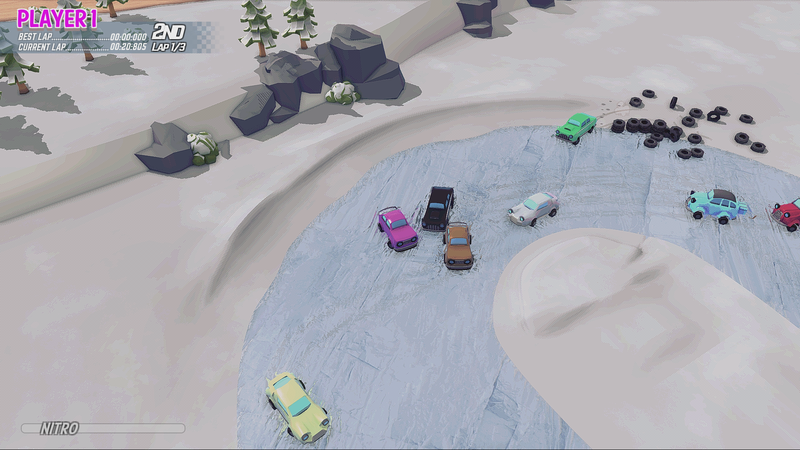 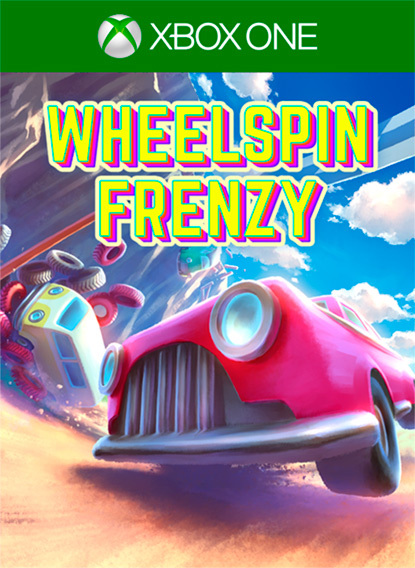 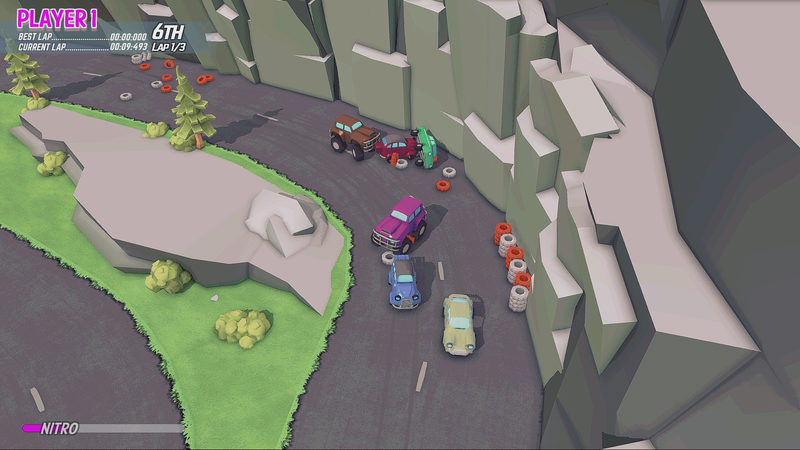 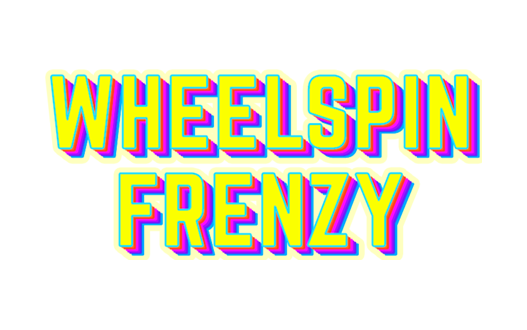 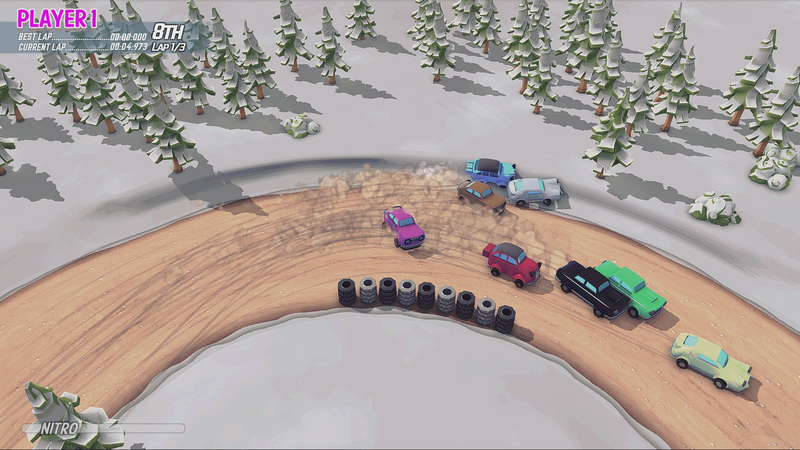 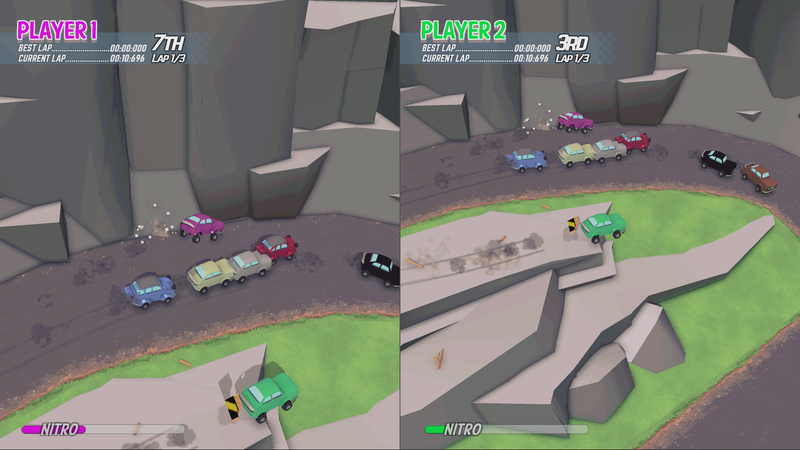 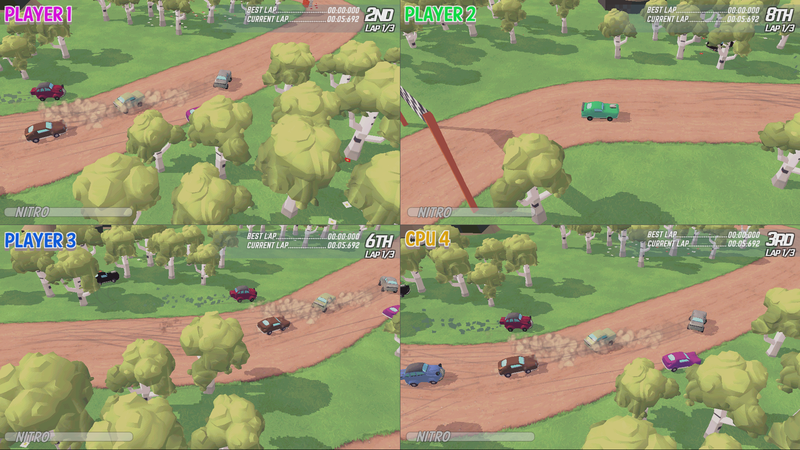 Wheelspin Frenzy is a retro racing-inspired game where you can play against AI or split-screen multiplayer with up to four players. 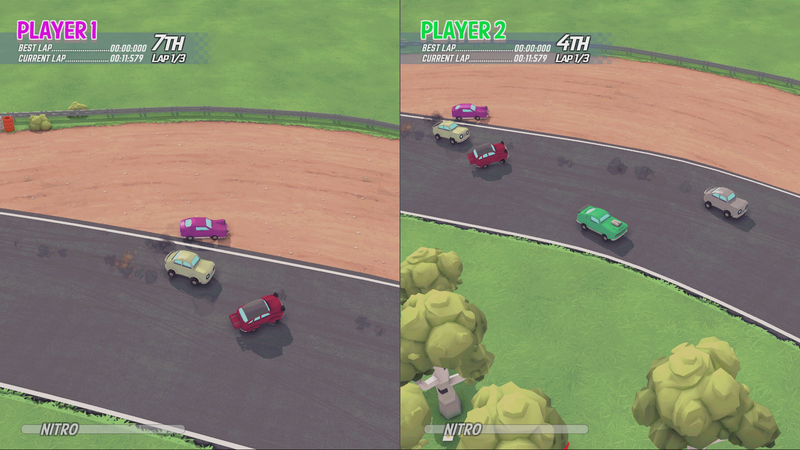 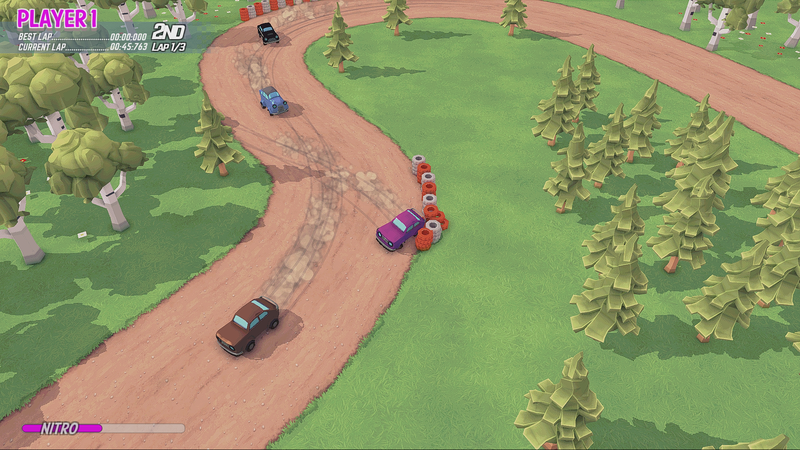 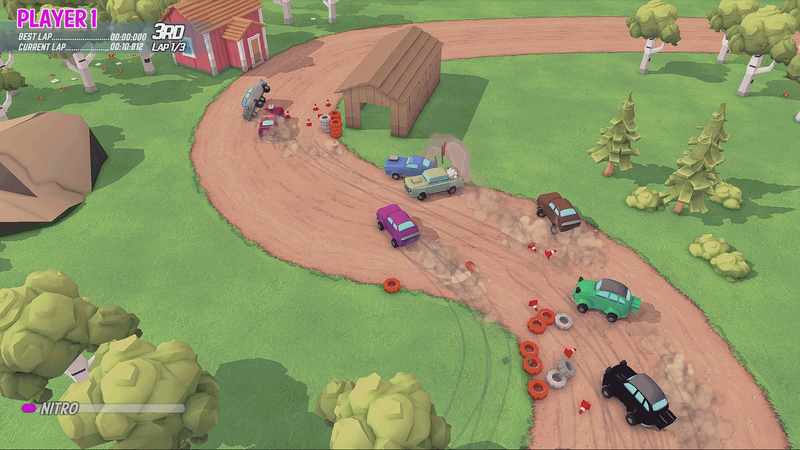 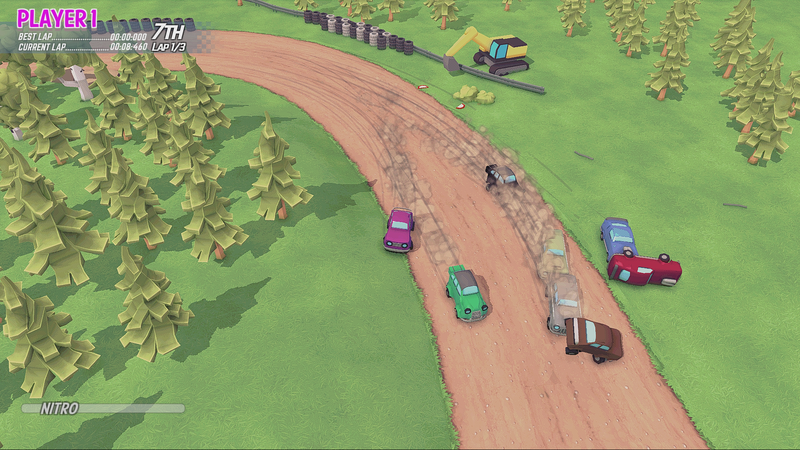 Simple, arcade-like steering mechanics are sure to be familiar to fans of golden oldies of racing from the '90s! 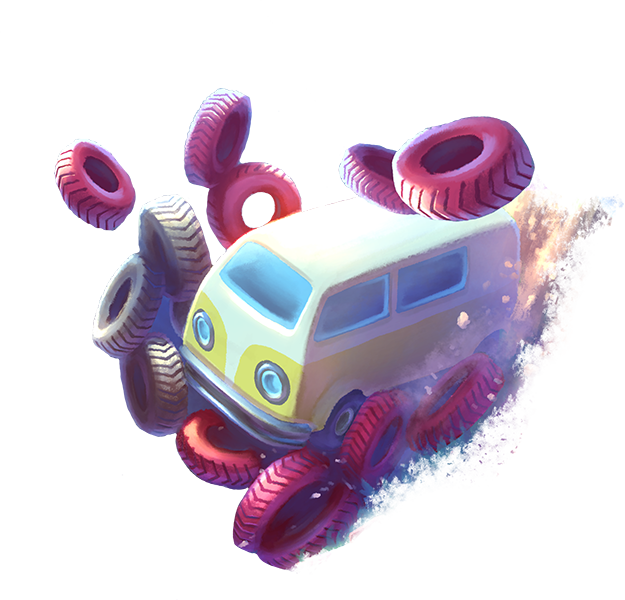 Don't forget to get NITRO by bumping into others to fly to victory!